DALLAS, July 30, 2018 – Historically having a short harvest period that sets Texas Vineyards behind, a shift in both wine demand and production methods in the wine industry has recently helped the region sustain a healthy harvest cycle. Now celebrating their annual grape harvest in the summer months of July – that’s four months ahead of growers in the ever-popular Napa region – the state has had one of their most successful seasons producing 38% more than 2017 and is continuing to grow each year. Outside support to these state-run growers from commercial organizations has also helped them serve the market faster while ramping up production. One big contributor to the Texas wine industry comes from grocery store giant Whole Foods, now owned by Amazon. No longer selling wine on the Amazon ecommerce platform, Whole Foods has developed new on-demand, online services that make wine consumption easier and faster than ever. Introducing their latest one-day wine delivery service, the new consumption model has encouraged the national grocery chain to choose local suppliers who can fill demand quickly over competitors across the country that have long dominated the industry. This focus on pushing the region’s local wine businesses has helped supplement Texas growers and their need to turn over product quickly, helping yield greater profits and reducing losses. As local markets such as that of Texas make their place in the wine business, other industry changes are causing fluctuations on a national and international level. One of the biggest factors pushing change is the expanding market of millennials that now makes up the majority of consumers across today’s industries. 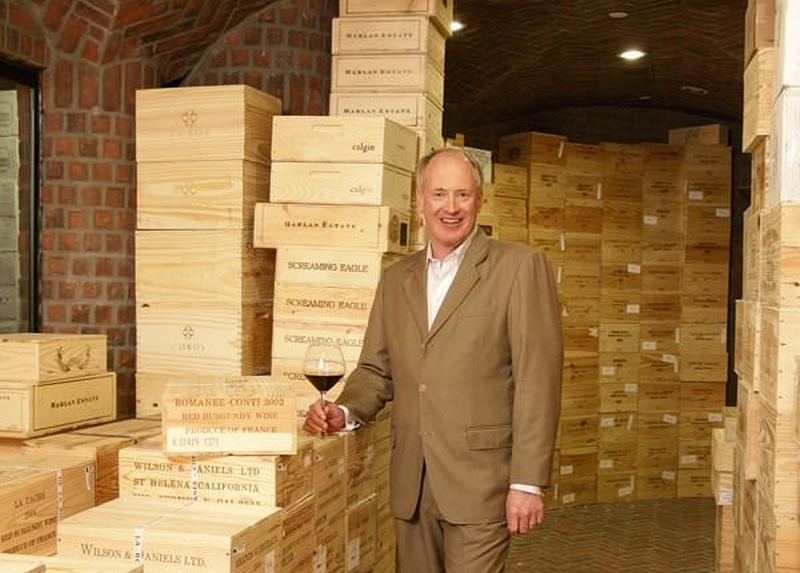 Different than their baby boomer predecessors, these younger demographics are creating a shuffle in the traditional wine market by straying away from an importance on origin, brand and exclusivity and putting more value on availability and convenience. 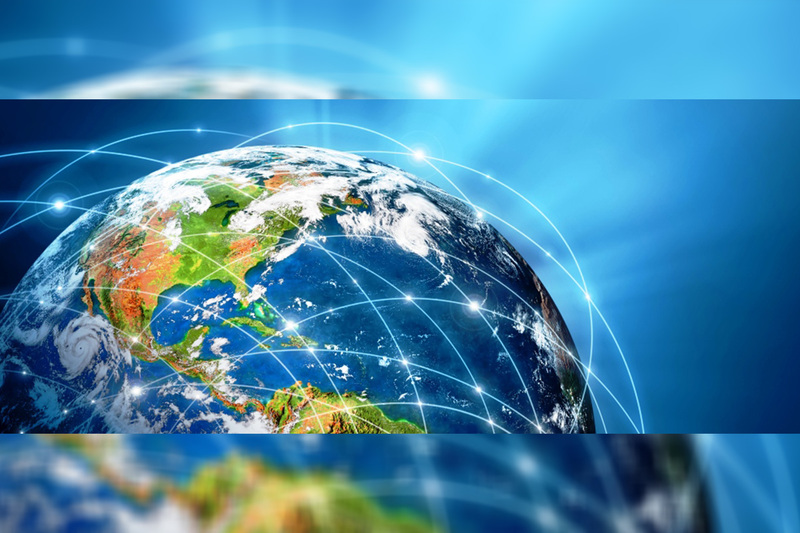 No longer focused around location-based operations, the new model is moving towards direct-to-consumer services and has opened up a whole new segment in the industry. Much like Amazon and Wholefoods’ new one-day wine delivery model, other services such as monthly subscriptions, personalized blends ordered via app or online wine purchases have focused in on the buying experience becoming more about convenience and accessibility. Together with technological improvements and new market demographics, this new consumer importance on quicker convenience helps put players in the Texas wine business ahead and on the track towards making a permanent impact on the industry in the years to come. Sasol today released our interim financial results for the six months ended 31 December 2018. Sasol recorded a satisfactory operational and financial performance against the backdrop of a volatile macroeconomic environment and an uncertain geo-political climate, which impacted global demand growth. “Our production and sales performance was mixed with largely lower than expected production in the first half of the financial year, mainly as a result of the longer than planned total shutdown at our Secunda Synfuels Operations (SSO). However, our operational performance was enhanced by management interventions in previous periods resulting in improved performances at Natref and Sasol Mining. Post the shutdowns, we are pleased to see steady progress across our value chains,” said Joint President and Chief Executive Officer, Bongani Nqwababa. Our underlying cash generation remains sound, with earnings before interest, tax, depreciation and amortisation (EBITDA) increasing by 10% to R27 billion when compared to the prior period and normalised cash fixed cost contained to below our inflation target. Our earnings growth was, however, slower than expected due to volatility in the oil price and lower than expected production and sales volumes. As we are in the commissioning phase of the LCCP production units, the delay in income from these units will result in lower earnings due to costs being recognised without corresponding revenues. “While the LCCP fundamentals remain firmly intact, we acknowledge the disappointing cost and schedule overrun. The project was impacted by several challenges, within and beyond our control, in the fourth quarter of the previous calendar year. 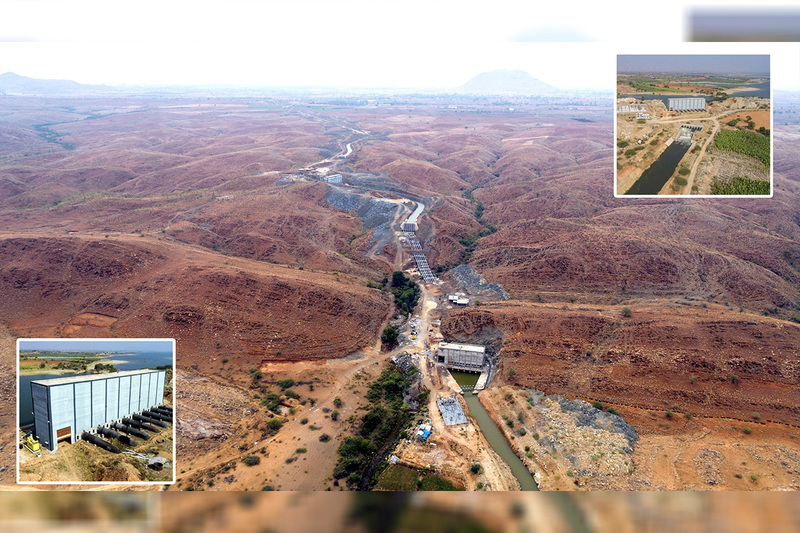 Despite incremental cash flows from the project being deferred due to a schedule delay, we remain confident that the project will deliver the steady EBITDA run-rate of US$1,3 billion in financial year 2022,” said Joint President and Chief Executive Officer, Stephen Cornell. 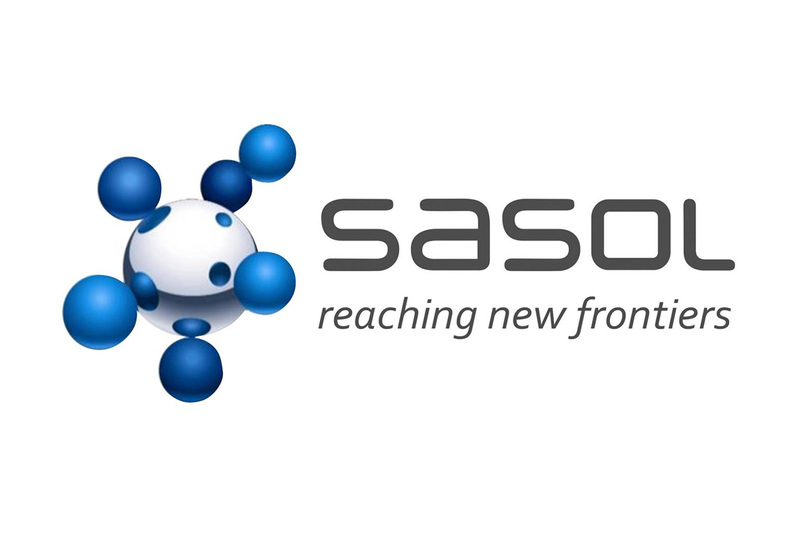 He added that while this update will have an impact on our cash flow inflection point and gearing, Sasol continues to proactively protect its balance sheet, while managing the capital structure and gearing during these turbulent times. “Our short-term focus remains on productivity in the field, process safety and progressing units to mechanical completion followed by beneficial operation. The linear low-density polyethylene (LLDPE) unit achieved beneficial operations on 13 February 2019, and is the first of seven LCCP production units to come online. Earnings attributable to shareholders for the period ended 31 December 2018 increased by 114% to R14,7 billion from R6,9 billion in the prior period, largely due to the significant re-measurement items recorded in the prior period. Headline earnings per share (HEPS) increased by 32% to R23,25 per share and earnings per share (EPS) increased by 112% to R23,92 per share compared to the prior period. Core headline earnings per share (CHEPS) increased by 18% to R21,45 per share compared to the prior period, mainly as a result of higher average crude and product prices, the effect of the weaker rand/US dollar exchange rate and higher margins in specialty chemicals measured in rand terms. This was partially offset by lower than expected production and sales volumes due to the extended shutdown at SSO and external ethylene supply constraints which impacted our European operations. Post the shutdowns, we are seeing much improved production in all of our units with SSO performing at run-rates indicative of 7,8 million tons (mt)/per annum. We expect steady progress in the second half and production to be in line with previous market guidance. Sasol experienced some challenges with regards to our operational performance in the first quarter of the year, largely due to the extended planned shutdown at SSO which impacted production and sales volumes across the value chain. We did, however, deliver a stronger operational performance in the second quarter of the year and are maintaining stable operations. Our current production run-rates at SSO support an annualised run-rate of 7,8 million tons. In Europe, our operations maintained their good performance, but were affected by external ethylene supply constraints which impacted sales volumes. Mining’s productivity continues to improve although we have not yet achieved targeted productivity levels. Our productivity rate improved by 8% from 1 099/t/cm/s in the prior period to 1 187/t/cm/s in December 2018. Supply to our internal value chain remains sufficient and our stock pile has been restored to levels above our working capital target. We are now planning to reduce external purchases to pre-2017 strike levels. Production volumes from our Eurasian Operations decreased by 8% mainly resulting from external ethylene feedstock supply shortages and planned shutdowns. ORYX GTL continued to deliver an exceptional performance, with an average utilisation rate of 99%. Natref improved its performance by 43% and achieved a production run-rate of 641m3/h. The planned Steam Station 2 shutdown at Sasolburg Operations (SO) was completed ahead of schedule and achieved stable operations post the shutdown. A detailed study was undertaken that proved the viability of specific SO assets, which are not gas dependent, to have a useful life beyond 2034. The useful life of these assets was therefore extended to 2050. Liquid fuels sales volumes increased 4%, enabled by the strong performance from Natref, and increased sales to wholesale and commercial customers. Base Chemicals sales volumes decreased by 11%, impacted by the extended shutdown at SSO and lower fertiliser demand. Our 50% joint venture high density polyethylene plant (HDPE) in the US with INEOS Olefins and Polymers USA is ramping up to expectations and delivered 91kt of saleable product for Sasol for the six months. Cash fixed costs, excluding capital-growth and once-off business establishment costs, increased by 4,3% which is 1,7% below our inflation target. Our cost management processes remain a key focus to protect and improve our competitive position, while ensuring that we maintain safe and sustainable operations. As indicated previously, Sasol is targeting a longer term sustainable inflation rate of 6%. Our net cash position decreased by 7%, from R17 billion in June 2018 to R16 billion as at 31 December 2018 mainly due to the funding requirements of the LCCP. Loans raised during the period amounted to R28 billion, mainly for funding of our growth projects. During the period, we utilised an additional US$1,7 billion of the US$3,9 billion Revolving Credit Facility (RCF), in order to meet the group’s funding requirements. In addition, in September 2018 Sasol raised bonds in the US capital markets to the value of US$1,5 billion (maturity in 2024) and US$0,75 billion (maturity in 2028), respectively. The proceeds of the bonds were used to repay a portion of the outstanding LCCP project asset finance facility. Working capital increased R2,1 billion from June 2018, mostly as a result of higher feedstock prices. Inventory holding in days reduced by 11% compared to June 2018. Cash generated by operating activities increased by 79% to R25 billion compared with R14 billion in the prior period. This is largely attributable to favourable Brent crude oil and product prices and a weaker rand/US dollar exchange rate. Actual capital expenditure amounted to R30 billion. This includes R16 billion (US$1,1 billion) relating to the LCCP. Our capital expenditure estimate for the full year has been revised to R52 billion largely due to optimisation of the capital portfolio. Due to funding of the LCCP, more than 85% of our debt is now US dollar denominated. Given the significantly weaker closing exchange rate of R14,36, gearing increased to 48,9%, which is above our target and previous market guidance. The exchange rate increased gearing by approximately 2% compared to our internal forecast. The higher capital cash flows on the LCCP during November to December 2018 further impacted gearing increasing it to 48,9%. Net debt to EBITDA increased to 2,17 times for the same reasons. While this is above our target of 2,0 times and previous market guidance, our investment grade credit ratings remain intact. Notwithstanding the current oil price and exchange rate volatility, as well as the increased expenditure on the LCCP, we still plan to manage the balance sheet debt metrics to within investment grade credit ratings. Our dividend policy is to pay dividends with a dividend cover range based on CHEPS. Taking into account the impact of the current volatile macroeconomic environment, capital investment plans, the current strength of our balance sheet, and the dividend cover range, the Board has declared a gross interim dividend of R5,90 per share (18% higher compared to the prior period). The dividend cover is 3,6 times at 31 December 2018 (31 December 2017: 3,6 times). Sasol continues to monitor opportunities to optimally protect its trading portfolio and balance sheet. The group entered into a number of hedging transactions relating to the crude oil price, rand/US dollar exchange rate, ethane price and the coal price. Our hedging programme for financial year 2019 has been completed, with ~70% of our exposure to the rand/US dollar exchange rate and ~80% of our oil exposure hedged. We are currently executing on our hedging programme for financial year 2020 with US$613 million of our exposure to the rand/US dollar exchange rate already hedged as at 31 December 2018. In January 2019, we hedged an additional US$87 million, thereby increasing our total cover to US$700 million. The current ethane hedging programme is being executed to cover the existing ethane cracker in the US. Hedging for the LCCP cracker is planned to match the start-up schedule. Our group wide CI programme, aimed at improving the robustness and competitiveness of our business, has a medium-term target to increase our Return on Invested Capital (ROIC) for our foundation businesses by at least two percentage points by financial year 2022. The targeted ROIC increase is off a 30 June 2017 base, normalised for remeasurement and once-off items, and excluding assets under construction. To date, we have completed industry benchmarks against our global peers for the majority of our functions and major value chains. Based on the outcome of these, a number of value enhancing opportunities with a high probability to meet our financial year 2022 ROIC target have been identified. Approximately R2 billion of value has been unlocked with specific gross margin, cash fixed costs and balance sheet initiatives in the first half of financial year 2019. This benefit was offset by the impact of production interruptions during the period. Digitalisation is a significant lever for our CI programme, with specific focus on improving the quality and availability of data across all areas of the business to enable automation, advanced analytics and improved decision making and operations. We have made good progress with our focused asset review process. The majority of our reviewed assets will be retained, with some earmarked for growth while others will be enhanced through detailed improvement plans. Although the initial asset reviews are nearing completion, the asset portfolio will be continuously reviewed to achieve a high grade portfolio and ensure optimal performance against our targets. The decrease in our effective corporate tax rate from 31,6% to 24,1% was mainly as a result of the successful outcome of the Sasol Oil tax litigation matter resulting in the reversal of the provision of R1,3 billion. The adjusted effective tax rate, excluding equity accounted investments, remeasurements and once-off items, is 29,0% compared to 26,4% in the prior period due to lower energy efficiency allowances. The first derivative unit, linear low-density polyethylene (LLDPE) reached beneficial operation on 13 February 2019, approximately two months late. Utilities to support the early process units were fully operational by end November 2018. These utilities together with LLDPE comprised ~40% of the LCCP total cost, prior to the revised estimate. Unfortunately, during the last quarter of calendar 2018, several factors within and beyond our control impacted the completion schedule and associated cost for the remaining units resulting in the overall project capital cost estimate being revised from US$11,13 billion to a range of US$11,6 – 11,8 billion. The difference between the upper and lower end of the range is a contingency and weather provision of US$200 million. Management maintains our unrelenting focus on delivering the remaining units per the revised schedule and we are confident that the fundamentals for the LCCP – being, among others, a feedstock advantaged plant, a world scale highly integrated facility, diverse product slate with high margin products and world class logistics and infrastructure – remain intact. We maintain our guidance that the project will deliver a steady state EBITDA of US$1,3 billion in financial year 2022. In Mozambique, the Production Sharing Agreement (PSA) reservoirs have proved more complex than expected with reduced expectation of recoverable volumes. The remaining uncertainty coupled with a lower-for-longer forecast in the oil price, suggest a revised development concept maximising the use of existing wells and processing facilities. A PSA Phase 1 project decision for feasibility studies is planned for the last quarter of calendar year 2019, with a Field Development Plan amendment to be submitted in December 2019. Phase 1 gas results confirm resource cover for Central Térmica de Temane (CTT), formerly known as the Mozambique Gas to Power Project (MGtP), and which was also confirmed via an independent resource certification study. A gas term sheet is being negotiated for gas supply to Electricidade de Moçambique (EDM) for CTT. assess the range of options and possibilities to sustainably secure and source gas feedstock. Sasol is one of four participating interest owners of the Etame Marin Permit, and holds a 30% participating interest, with VAALCO Gabon SA being the operator. In September 2018, VAALCO through its wholly owned subsidiary and other Etame participating interest owners, announced the receipt of the Presidential Decree approving the successful execution of an amendment to the Etame Marin Production Sharing Contract (PSC) in Gabon between the government of Gabon and the Etame participating interest owners. The amendment provides for a 10 year extension of the three exclusive exploitation areas under the PSC until September 2028.continuing to execute our strategy, we have concluded a farm-in into the DE8 block in Gabonwhere we now hold 40% working interest of that block. An exploration well drilled during the year was unsuccessful and written off. The current economic climate continues to remain highly volatile and uncertain. While oil price and foreign exchange movements are outside our control and may impact our results, our focus remains firmly on managing factors within our control, including volume growth, cost optimisation, effective capital allocation, focused financial risk management and maintaining an investment grade credit rating. Average Brent crude oil prices to remain between US$60/bbl and US$65/bbl. * The financial information contained in this business performance outlook is the responsibility of the directors and in accordance with standard practice, it is noted that this information has not been audited and reported on by the company’s auditors..
An interim gross cash dividend of South African 590 cents per ordinary share (31 December 2017 – 500 cents per ordinary share) has been declared for the six months ended 31 December 2018. The cash dividend is payable on the ordinary shares and the Sasol BEE ordinary shares. The Board is satisfied that the liquidity and solvency of the company, as well as capital remaining after payment of the dividend is sufficient to support the current operations for the ensuing year. The dividend has been declared out of retained earnings (income reserves). The South African dividend withholding tax rate is 20%. At the declaration date, there are 624 606 120 ordinary and 6 331 347 Sasol BEE ordinary shares in issue. The net dividend amount payable to shareholders who are not exempt from the dividend withholding tax, is 472 cents per share, while the dividend amount payable to shareholders who are exempt from dividend withholding tax is 590 cents per share. 1 All dates approximate as the NYSE sets the record date after receipt of the dividend declaration. On Monday, 18 March 2019, dividends due to certificated shareholders on the South African registry will either be electronically transferred to shareholders’ bank accounts or, in the absence of suitable mandates, dividend cheques will be posted to such shareholders. Shareholders who hold dematerialised shares will have their accounts held by their CSDP or broker credited on Monday, 18 March 2019. Share certificates may not be dematerialised or rematerialised between 13 March 2019 and 15 March 2019, both days inclusive. A supporting presentation and webcast will be available on the Company’s website at https://www.sasol.com/investor-centre/financial-reporting/annual-integrated-report/interim-results and will begin at 15:00 (SA), 13:00 (GMT) and 8:00 (CST) on 25 February 2019. Sasol may, in this document, make certain statements that are not historical facts and relate to analyses and other information which are based on forecasts of future results and estimates of amounts not yet determinable. These statements may also relate to our future prospects, developments and business strategies. Examples of such forward-looking statements include, but are not limited to, statements regarding exchange rate fluctuations, volume growth, increases in market share, total shareholder return, executing our growth projects (including LCCP), oil and gas reserves, cost reductions, our Continuous Improvement (CI) programme and business performance outlook. Words such as “believe”, “anticipate”, “expect”, “intend”, “seek”, “will”, “plan”, “could”, “may”, “endeavour”, “target”, “forecast” and “project” and similar expressions are intended to identify such forward-looking statements, but are not the exclusive means of identifying such statements. By their very nature, forward-looking statements involve inherent risks and uncertainties, both general and specific, and there are risks that the predictions, forecasts, projections and other forward-looking statements will not be achieved. If one or more of these risks materialise, or should underlying assumptions prove incorrect, our actual results may differ materially from those anticipated. You should understand that a number of important factors could cause actual results to differ materially from the plans, objectives, expectations, estimates and intentions expressed in such forward-looking statements. These factors are discussed more fully in our most recent annual report on Form 20-F filed on 28 August 2018 and in other filings with the United States Securities and Exchange Commission. The list of factors discussed therein is not exhaustive; when relying on forward-looking statements to make investment decisions, you should carefully consider both these factors and other uncertainties and events. Forward-looking statements apply only as of the date on which they are made, and we do not undertake any obligation to update or revise any of them, whether as a result of new information, future events or otherwise.